The Program:We would love to have you come and visit the Playschool! At the Open House, you can expect to meet the teachers, speak to members of the board, tour the classroom, and ask questions! Potential future students are welcome to create a craft and play. The Program: Our community based, non-profit playschool provides quality preschool education to children aged 3 – 5 years of age with a learn through play program, which nurtures the intellectual, social, emotional and physical development of our children. The Program:Come join us at our Open House on February 6 from 6-8 pm at the playschool. (12015 39A Ave) Meet the wonderful teachers, and see our classroom. Online registration begins February 19 at 6:00 am until February 22. The Program: Play based learning does not mean that the children just do what they like all day. There will be times when the children come together as a group where they will learn to listen to each other, share information, follow rules and partake in group activities. Play based activities don’t replace intentional teaching, rather complement and enhance it! The Program:DKK is a member of AEGBEE (Association for English-German Bilingual Education of Edmonton) and many of our students graduate to the German Bilingual Kindergarten and school programs offered through Edmonton Public Schools. Although classroom space is leased from the Edmonton Public School Board, DKK is not affiliated with the Edmonton Public Schools. The DKK Executive Board consists of parent volunteers who are elected at the Annual General Meeting in May. The Program:Come and visit our welcoming classroom, and have an opportunity to meet the staff, ask questions, and learn about the learn through play program offered! We offer morning classes for 3 & 4 year olds. We do not require parent roster days, or cleaning bees! Music classes are scheduled regularly throughout the year. Registration will be open at this event. The Program:Small Sprouts is a home-based preschool, in Edmonton, Alberta, that fuses early literacy and numeracy with play. Your child will develop social and emotional skills and advance cognitively and intellectually through structured and free play programming, preparing them for Kindergarten. 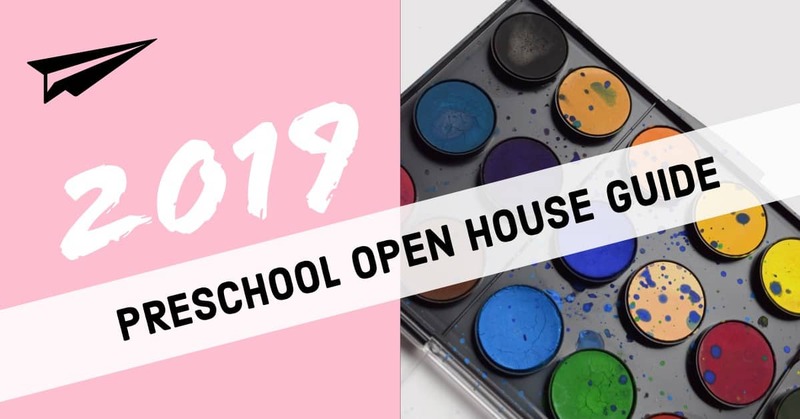 The Program: West Edmonton Playschool has an opportunity for you to visit our school during our Open House. Come, take a closer look at our welcoming space, get a feeling for the classroom, and meet our teachers Mrs. Cyre and Miss Vanessa. The Program: The preschool space will be open for the families to explore and ask questions. We will also open the community hall (which is attached to the preschool) and will be accepting registrations there from the General Public. The Program:In our program, we work towards developing a positive self-image, a sense of independence, trust, constructive peer relationships and emotional stability for our children, which are key elements to successful learning. Our aim is to provide a creative preschool experience focusing on social, emotional, intellectual and physical development. The Program: Learning through Play” philosophy (Click for more information), Jolly Phonics trained staff, No duty days for parents, Culturally sensitive program, Classes offered for children as young as two years old (no toilet trained required), Healthy organic and nut-free snacks provided, Two full-time Level 3 teaching staff, Small class sizes. The Program:The program focuses on learning through play to address the whole child- including social, emotional, physical, intellectual, creativity and spiritual skills. Learning will include math, literacy, social studies, nutrition, science , multiculturalism and dramatic play. Teachers will routinely incorporate fine and gross motor activities into the program and outdoor time as possible. The program is enhanced with Christian concepts and values. The Program: WECA Preschool is committed to the enhancement of the whole child. It is our goal for each child to develop and demonstrate achievement in his/her spiritual, cognitive, physical, social, emotional and creative development. There are two programs to choose from: Early Learning Foundations Tuesdays and Thursdays from 9:15 a.m to 11:45 a.m. and Kindergarten Readiness Program (2 classes available) Monday, Wednesday and Fridays (AM class 9:15 to 11:45 a.m. and PM class 12:40 to 3:10 p.m.) Children are very welcome and encouraged to attend the open house, too! The Program: Strathcona Nursery School is a parent cooperative that welcomes 2.5 – 5 years old children to come learn and play together in a positive, respectful environment. Come to our Open House to visit our beautiful classroom, talk with our dynamic teachers and board members, and learn about our program! Classes are mixed-ages and children may enroll throughout the year. Children are not required to be potty-trained to attend the nursery school. Edmonton Catholic Schools (ECSD) is proud of the quality Early Learning Programs provided for children in their first school experiences. ECSD’s pre-kindergarten program, 100 Voices, is designed for three and four year old children. This program meets the developmental needs of children through active engagement in carefully selected learning experiences that expand upon children’s interests and natural curiosity. Programming includes faith-based education, learning through play and inquiry, integration of the fine arts and opportunities for rich oral language. 100 Voices is currently provided to over 1800 Edmonton children at 53 different schools and City of Edmonton Recreation Centres and Attractions. In addition to a certified teacher and an early learning facilitator, each 100 Voices program offers a continuum of supports provided by a multi-disciplinary team that includes a speech-language pathologist, an occupational therapist, an emotional behavioral specialist and other specialists as needed. Your child may be eligible to access funding, pending results of the intake process that includes screening and assessment if required. For more information, please follow this link to view the 100 Voices brochure.